We specialize in concrete coatings that last a life time, look beautiful and are durable enough for both commercial and residential applications. Having a durable concrete floor will help your business display a unique, modern, and professional look. Our products are built to last due to being high performance, chemically resistant, and are a great fit for many types of businesses, including: restaurants, retail stores, factories, offices, parking garages, hotels, and more. Flakes & Quartz concrete coatings are epoxy or urethane based. The epoxy or urethane base is topped with your choice of Flakes or Quartz, which come in a wide variety of colors. 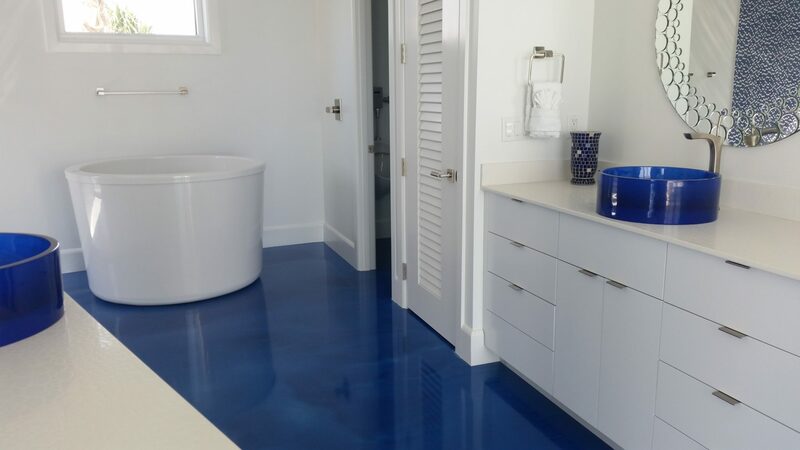 These floors are chemical resistant, and extremely durable. They are ideal for residential, commercial and industrial applications. Concrete coatings can work for your home in both indoor and outdoor applications. Past projects we have worked on include driveways, garage floors, interior floors, and more. No two applications look the same either, due to our ability to stain and coat the product to give it the color and shine you desire. Stained floors are used to get that unique coloring you have always wanted on your concrete. There are various options when it comes to stain. The most popular being acid and dye stain. Stained floors are unique blends of color and it will be something you will likely never see anywhere else; a truly unique application. Chemical resistant coatings consisting of epoxy and/ or urethane based. The coating is then topped with either your choice of Flakes or Quartz, which come in a wide variety of colors. These floors are chemical resistant, and extremely durable. They are ideal for garage floors, warehouses, airplane hangars, and residential applications. Metallic & Stained floors are designed to be eye catching and have become our most popular concrete coatings. Metallic & Stained floors have a fluid finish allowing each floor to be uniquely different. 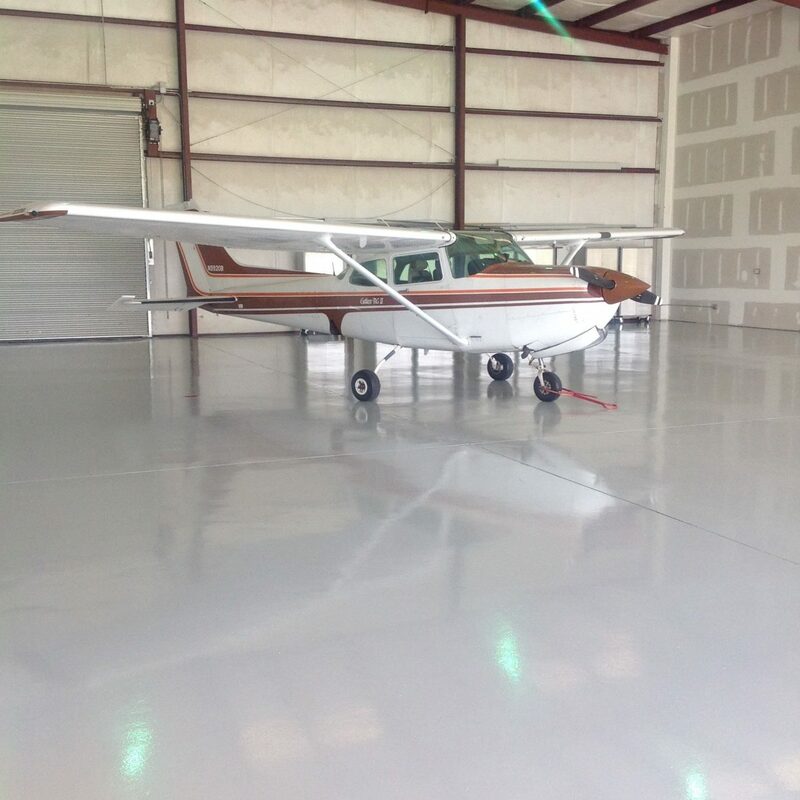 Metallic floors are epoxy systems allowing them to be extremely durable. Each type is impossible to duplicate so your floors won’t be anywhere else. Decorative Concrete finishes are acrylic based materials. Unlimited designs, patterns and color options providing anti-slip around pool decks, patios and more. They are weather and UV resistant for interiors and exteriors. These are perfect for both commercial and residential applications alike and will give a wow factor for many years to come. Advanced Concrete Supply is a locally owned and operated specialty concrete company located in Fort Walton Beach, FL. We specialize primarily in concrete resurfacing in commercial and industrial spaces where specific consideration must be given to time frame, finish, durability/ longevity and our presence. Our concrete professionals begin every job by preparing the substrate with industry leading diamond grinding and dust collecting equipment. Proper repairs are ensured with a variety of cement and epoxy products depending upon the situation. These repairs combined with proper preparation techniques create a consistent surface to begin the coating process. John and Debbie Marino have been in the contracting business for over 30 years. Before Advanced Concrete Supply the Marino’s were the owners of Atlanta General Remodeling, which was located in Atlanta, Georgia. The Marino’s moved to the panhandle in 2007 and began to focus on concrete restoration & concrete repair which later led to decorative concrete coatings. John Marino is currently a licensed general contractor in Florida and Georgia. We go the extra mile to ensure our customers happiness. In order to do the job correctly we properly prep the concrete before any job. If the concrete is not properly prepped the product will not adhere to the concrete. We believe in doing the job correctly the first time, which is why we believe that Prep is Everything.